1. The Maine Highlands: If you're looking for some elevation, try a visit to the Moosehead Lake Region in the Maine Highlands. Known as one of the best places to go moose watching, this region has lots to offer nature lovers. 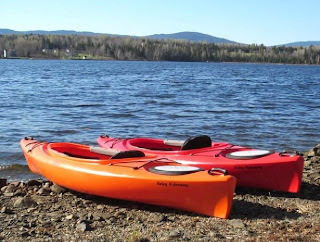 Moosehead Lake is easily accessible with a stay in Greenville and this region offers some fun white water rafting for all levels of experience and age groups on the Kennebec, Penobscot and Dead rivers. For those who want adventure, but prefer to stay on land, try a stay at Baxter State Park, where you can hike Maine's highest peak, Mount Katahdin, which tops out at 5,267 feet. As the northernmost point on the Appalachian Trail, a trek to Katahdin's summit is surely not for the faint of heart. Visitors are encouraged to visit the Baxter State Park Authority when planning their trips. 2. 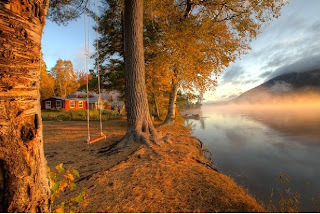 The Belgrade Lakes, Kennebec Valley: Located a mere 10 miles from the state's capital of Augusta, The Belgrade Lakes region provides the best that Maine autumn has to offer with a chain of seven freshwater lakes to explore. This region is great for people of all ages who are looking to kayak, fish, and enjoy some intermediate level hikes. With a population of only 4,000, this town just about doubles in number during the summer months, so a fall visit is the perfect time to avoid the tourist traffic. 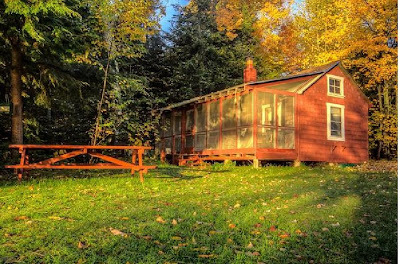 There are variety of accommodations to choose from, but one of our favorites is a cozy cabin nestled in the woods on the lake. There's nothing quite like waking up to hear the loons calling and watch the mist roll over the water. During your visit in Kennebec County, don't forget to visit one of the local apple orchards to enjoy some apple picking. 3. 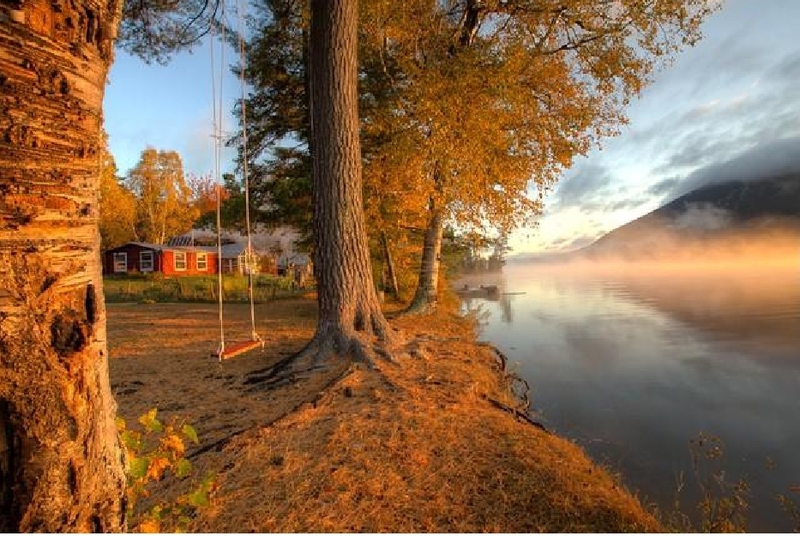 Rangeley Lakes Region: This region sits at the base of a popular ski spot and while the area gets more traffic in winter, the surrounding lakes are a breath-taking scenic spot in the fall. 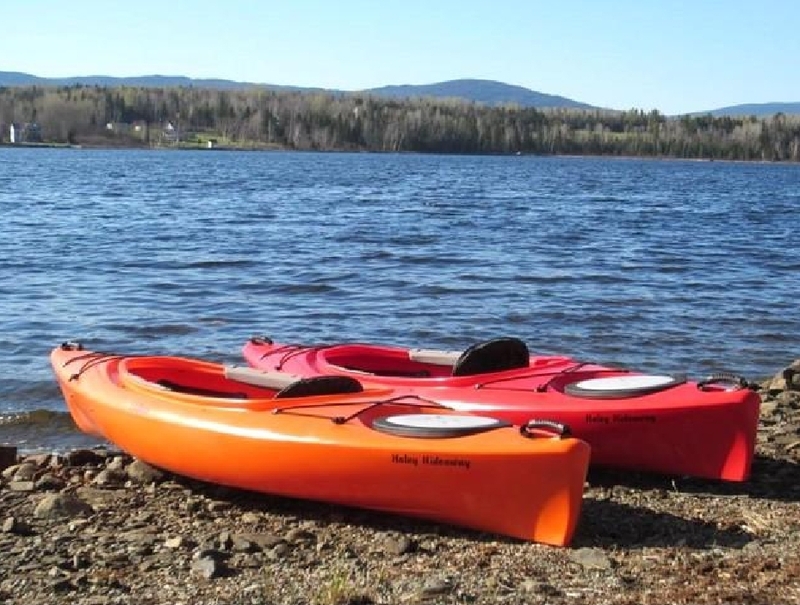 The area is home to six major lakes where visitors can chart their own paths or get a guided tour on the water from Rangeley Region Lake Cruises or in the air from Acadian Seaplanes LLC. In addition to these unique experiences, this region offers paddle tours, guided wildlife tours, and even a lakeside theater for an entertaining and artistic end to an adventurous day. Accommodations are plentiful in this region and ensure a fantastic view of the changing fall foliage.